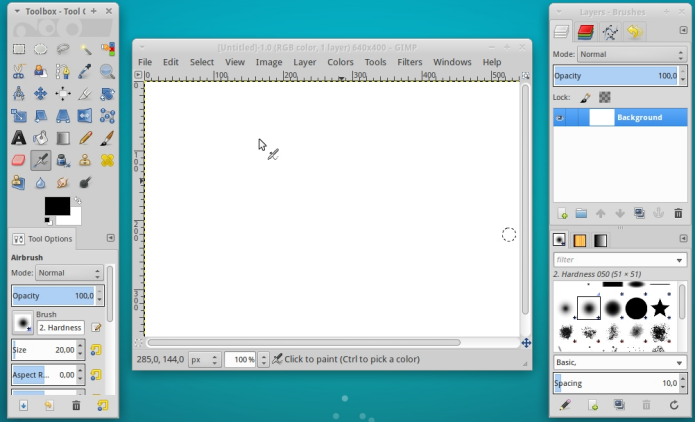 Another version of GIMP, the most popular open source image editor, has been released. If you already use or want to experiment, here’s how to install the latest version of GIMP on Ubuntu and its derivatives. GIMP or GNU Image Manipulation Program is an expandable image editor via plugins and distributed free of charge to be used in tasks such as photo retouching, image composition and image creation. GIMP works on many operating systems, and is translated into many languages. While having many features, Gimp can be used as a simple painting program, a quality photo retouching program , an online batch processing system, a mass production image processor or even as a converter image format, as well as several other tasks. GIMP 2.10.4 has been released recently and includes many bug fixes as well as several optimizations. Panel upgrade: new “Memory” group and improved “Swap” group, showing multiple metrics. GIMP is available in the official repositories of some versions of Ubuntu, however, it is not the latest version. For those who could not install with the above procedure, do not want to add the repository or want to try to install on another Debian based distribution , you can pick up the DEB files from the program on that link and install it manually (double-clicking on it). Ready! Now, when you want to start the program, type gimpin the Dash (or in a terminal, followed by the TAB key). In case you encounter problems and you want to go back to the version of GIMP available in the Ubuntu repositories, you can clean the PPA using the ppa-purge application.